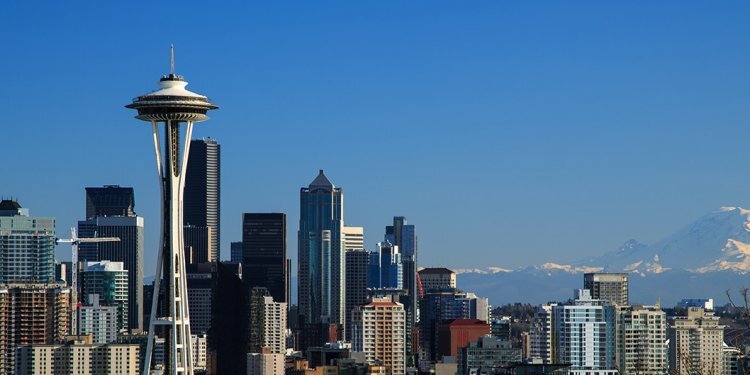 Angel’s is proud to claim its headquarters in the beautiful city of Seattle. Originally founded in the area of Wallingford with the intent on transforming the way people remove unwanted junk, Angel’s has evolved into the area’s fastest growing junk removal service. In the Northwest we care about maintaining our pristine environment, keeping our air clean and preserving our planet for future generations that is why Seattle is a leader in green building and development of clean technologies. For these reasons, Angel’s is founded on the vision of connecting professional customer service without impacting our environment. We go the extra mile to work with specialty recyclers and charities to avoid throwing away the great majority of the junk, trash and rubbish we haul away. Also, in most cases, what cannot be recycled or reused goes to an energy facility that reclaims the trash for electricity. Our customers do not suffer from our efforts to reuse and recycle. Angel’s offers first class customer service. We offer a convenient booking system online or by phone. We arrive at the time you schedule and even provide same day service. Angel’s offers competitive rates with our easy to understand volume pricing model and free on site pricing estimations. Angel’s is proud to call Seattle Washington, with its diverse population and robust economy, its home. Call us today for all your junk removal needs. Download Hi Resolution Video: Closed Format: "MP4" Open Format: "OGG"
We are a locally owned Seattle company founded in Wallingford that supports local jobs. We are committed to keeping the Greater Seattle Area green through recycling appropriately and donation. The Great majority of items stay out of landfills. Services to where the items are located; there is never any need to move anything to the curb. We offer accuracy in pickup times. We maintain a standard pricing system based on volume. We have a policy of shredding hard drives, confidential documents and other items. We provide a clear volume based pricing strategy. It is important to dispose of hazardous materials such as oil based paint, motor oil and antifreeze appropriately. The reason for this is because it is unlawful to dispose of the materials in landfills and Angel’s is not licensed to dispose of these materials. However, hazardous materials can be delivered to the King County Hazardous Waste Program where information is provided on household hazardous disposal locations in the Greater Seattle Area. Seattle contains several districts and neighborhoods that evolved from early European settlements. It is these neighborhoods that give the city its distinct character and is the reason that Seattle is often referred to as “a city of neighborhoods.” Since no official boundaries have existed in Seattle since 1910, districts and neighborhoods are therefore informal with their boundaries overlapping and multiple names existing for a single district.